Planning to take an IELTS test? 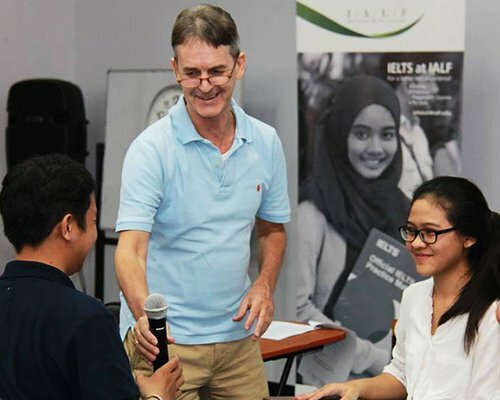 Improve your chances of getting your target score by taking an IELTS Prep course at IALF Bali. IELTS Prep Modular – in-depth course to develop your language skills & test-taking strategies. Start any Monday. IELTS Kursus Kilat – overview of the test, focus on key test-taking skills & strategies. IELTS Prep Premium – create a personalized course for you and your friends. IELTS Indicator – experience IELTS Speaking and Writing tests under authentic exam conditions, get feedback from IELTS experts. 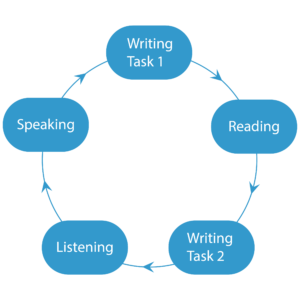 IELTS Tryout – explanation of Writing test, demonstration and practice of Speaking test, simulation of Listening & Reading tests. Join the course every Monday! You can join IELTS Prep Modular every Monday. Pre-Intermediate level 2 on the IALF Placement Test. Call IALF Bali on +62 361 225 243 to book a placement test. You will practice each section of the test and develop test-taking strategies. The course is designed so that materials are challenging and engaging. You will have full access to extensive resources at IALF over the study period to develop your skills and strategies outside class time. By the end of the course, you will be able to assess your performance and identify areas needing further study so that you can achieve your target IELTS score. You will get instructor feedback on homework assignments and results on in-class simulation test practice. If you wish to know more about studying overseas. Our staff at the IALF Global office (near reception) can give you information on courses at overseas schools, colleges, and universities, and can assist you in processing study application, student visas, accommodation and more. Pre-Intermediate level 3 on the IALF Placement Test. Call IALF Bali on +62 361 225 243 to book a placement test. Create a course for you and your friends! 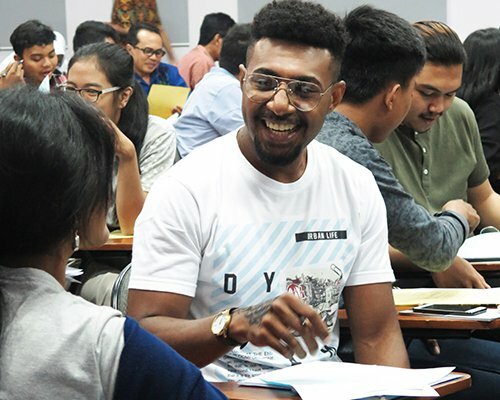 IALF Bali offers a 40-hour TOEFL Preparation course that provides practice in the language skills and test-taking skills required by the test. These courses run according to demand – please contact IALF Bali for the next available dates. Experience the IELTS Speaking and Writing tests under authentic exam conditions. In an IELTS Indicator test you take a full IELTS Speaking and/or Writing test under authentic exam conditions. You then receive full feedback which points out your strengths and weaknesses and suggests how you can improve. Contact us to make an appointment for an IELTS Indicator test. Introduction to every aspect of the IELTS Test. IELTS Tryouts are conducted regularly at IALF Centres. We can also come and conduct a Tryout at your event (e.g. Education Exhibition) or venue (your school, agency or college). We can also provide the shorter IELTS Explained presentation, if your schedule is tight. Contact us to discuss options.